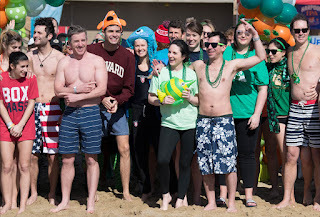 Join us on Sunday, March 10, for the Harpoon Shamrock Splash plunge and pledge fundraiser and beach party at the BCYF Curley Community Center at M Street Beach in South Boston. 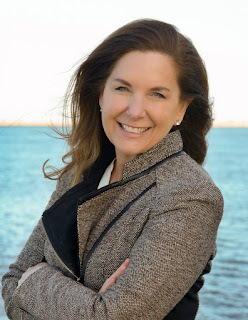 Brave participants will splash into the clean, cold water to raise funds for Save the Harbor/Save the Bay and the Department of Conservation and Recreation (DCR)’s Better Beaches Program. This program funds free events on the region’s beaches in Lynn, Nahant, Revere, Winthrop, East Boston, South Boston, Dorchester, Quincy and Hull. 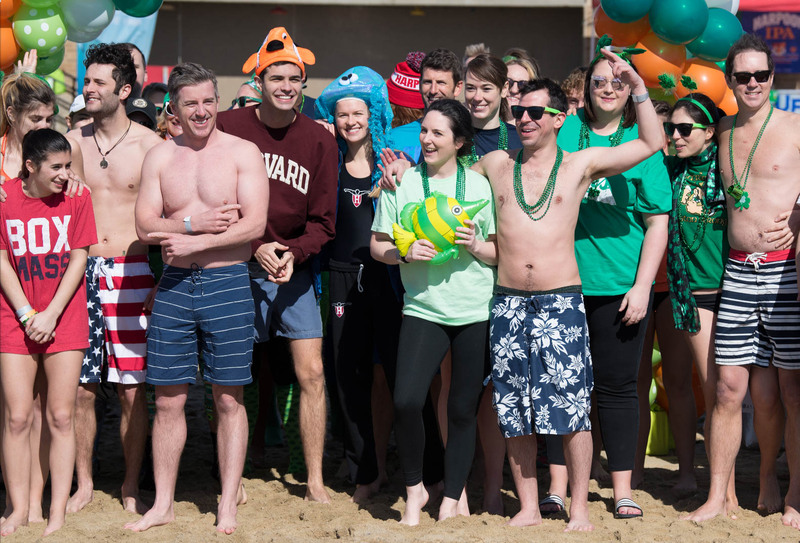 Brave participants at the 2018 Harpoon Shamrock Splash prepare to splash into the water at M Street Beach to benefit Save the Harbor/Save the Bay and DCR's Better Beaches Program. Last year, more than 150 participants made the splash and raised more than $50,000 for the Better Beaches Program. 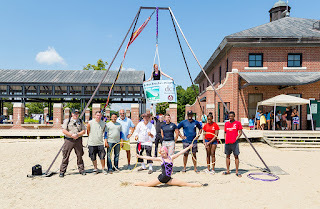 The success of the Splash allowed Save the Harbor and DCR to award Better Beaches grants to 36 community groups who held more than 150 free events on the region’s public beaches from Nahant to Nantasket. This year’s Harpoon Shamrock Splash begins with registration and check-in 11 a.m. and the signature splash at 12:00 p.m. The day includes a costume contest, awards ceremony, and beach party. Participants are encouraged to dress in their best shamrock attire. beach games, and swimming and kayaking lessons. Early registration is just $20, while same day registration is $25, and includes a refreshing beer from Harpoon Brewery, hot chowder from the Daily Catch and refreshments on the beach. Those who raise more than $250 will get a Harpoon pint glass, and those who raise more than $500 will receive Harpoon apparel. 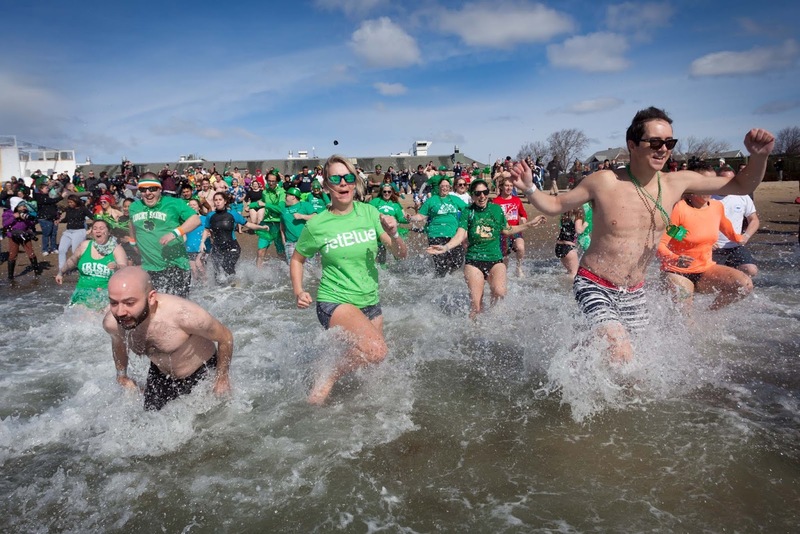 Splashers braved the cold water during the 2018 Shamrock Splash. There are plenty of chances to win round-trip flights from splash sponsor JetBlue as well. The top two fundraisers, the winners of the costume contest and the person who receives the most donations will each win a pair of round-trip tickets from JetBlue to any non-stop destination they fly to in the continental United States from Logan Airport. All registered participants will be entered into a raffle for a pair of tickets as well. Those that raise more than $500 will be entered into a separate elite raffle as well.